While many shades of pink may strike us as feminine colours, other shades can work perfectly in any room of the house. The pink we associate with femininity is a fairly neutral pink. It can be a hot pink or a softer pink with more white in the paint. But pink comes in dozens of other shades, many of which we don’t automatically associate with femininity. And the popularity of pink is rising – we’re being asked to paint in pinks more and more. Pink can be a perfect colour for many rooms in the house. Pale pink is the hot new colour trend for living room walls. Shades of pale pink on the walls complement creamy neutrals like beiges, taupes and whites. Surrounding a pale pink wall with these neutral hues using furniture and textiles will instantly ground the pink. Using a barely-there pink blush can also look quite modern when paired with simple furniture upholstered in grey fabrics. Pink can be a great primary or secondary colour in the bathroom, creating the perfect space for taking a relaxing bath. A deep pink may be overwhelming, but a softer pink can be the ideal way to add subtle colour. Is an all pink bathroom too much for you? Think about combining it with another colour. Pair the pink with black, grey, green or blue and no one will say that you’ve created a bathroom that’s too feminine. Pink can be a good paint choice in the kitchen, too, as shades of pink pair well with timber doors and marble bench-tops. You may want to use it as a highlight colour instead of painting the entire kitchen pink, but it depends on the shade of pink that you choose. Or, you may choose to make a statement with a glass splash-back in a shade of bright pink. Depending on the other colours you choose for the kitchen, your splash-back can be the highlight of your kitchen. A pink bedroom is not just for a child – what about your master bedroom? If you’re concerned with it appearing to feminine, remember that it depends on the shade of pink that you choose. As in any room, the colour combinations are going to define the room. Incorporating touches of other colours into the decor can make it a “gender neutral” and modern bedroom. Grey is a great colour to combine with pink, as is burgundy, which instantly creates an elegant look. When choosing colours, you may be overlooking a shade of pink that will be perfect for your living room, bathroom, kitchen or bedroom. 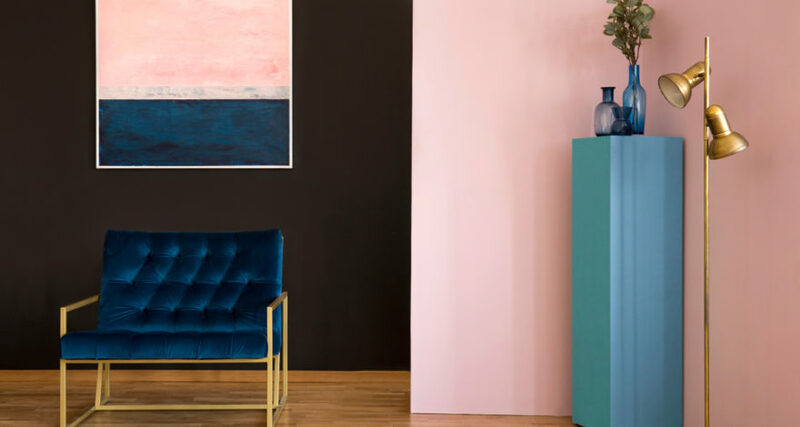 It may be time to shake off the old feminine image of pink and discover the possibilities of this often overlooked colour. For more inspiration or professional with your paint project, call or email us at APMG Painting Melbourne today.